Weaving twisted threads with a loom turns into bullion fringe. The term originates from the thick metallic gold or silver fringe epaulettes and cording used on military uniforms. Here at Passementeries® we make our bullion fringe with high-grade mercerised cotton from a collection of some 600 colors. 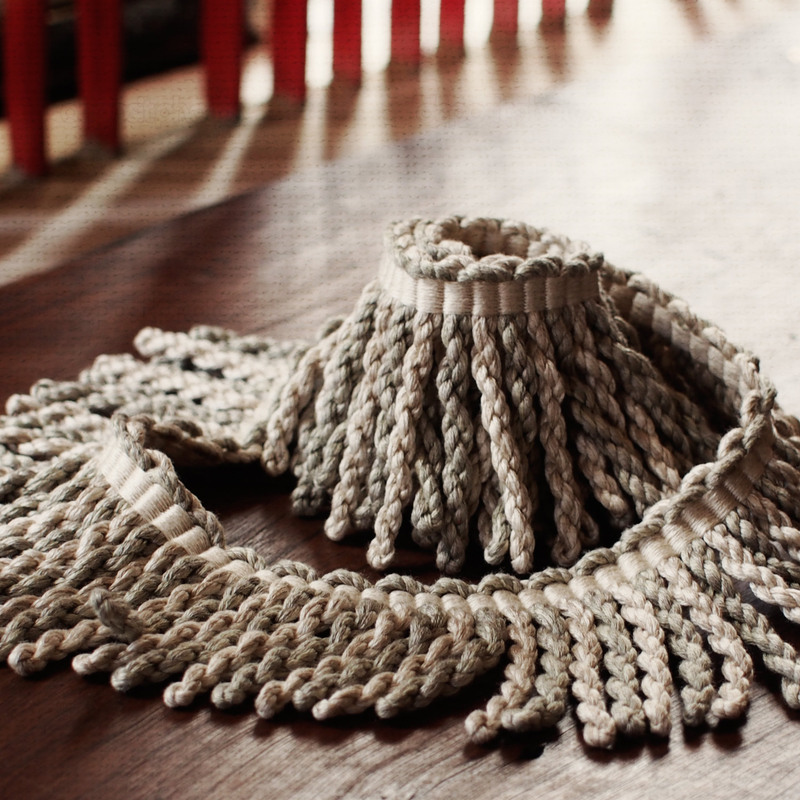 The Bullion Fringe featured on this page is typically made for use in, say, cushions or along the edge of curtains. 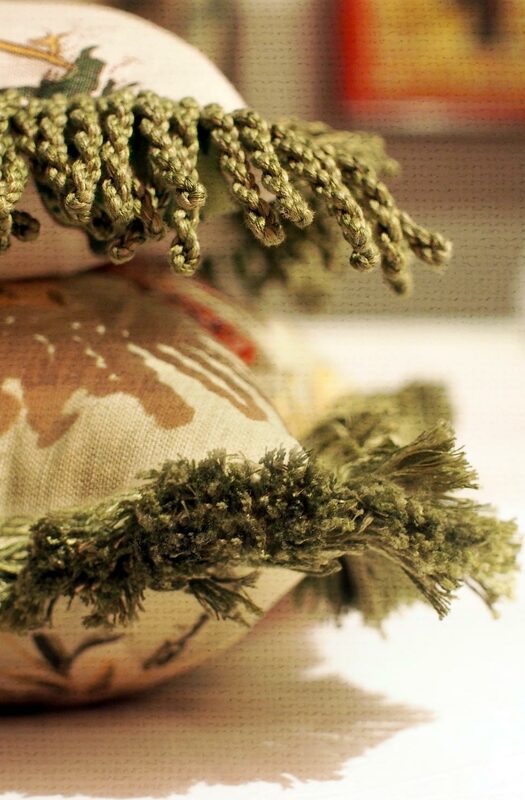 Greater depth fringe, or tags, is appropriate to furniture, such as along upholstered chairs or on the base of a sofa. The latter can be made longer and also fatter in girth, akin to cigars. Ask us for more bespoke creations…. 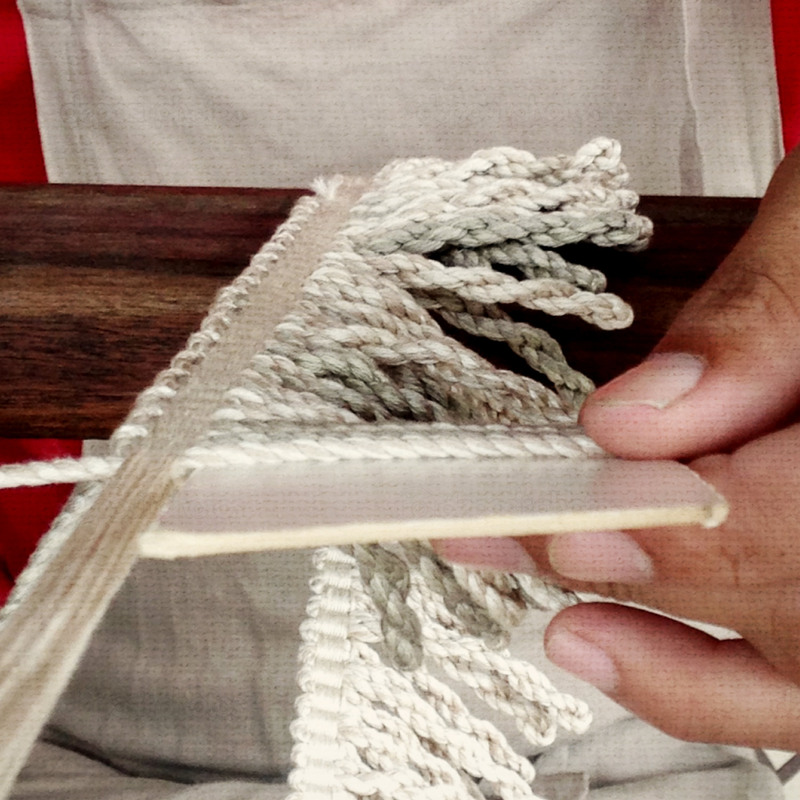 With two people working on the same fringe, we are able to make 5 – 7 meters / 5.5 – 7.5 yards a day. ← Two weeks it took to make this ceiling rosette and it took just 10 seconds for my staff to turn it into a hat!